What do you need to master portraiture? The answer is an eye for detail, a Nikon camera, and a competent lens. These three things help you to capture images with real emotion and meaning. An exceptional camera is fine and dandy, but it’s nothing without the right lens. This guide looks at the 6 best Nikon portrait lenses around today. These instruments of light are not all NIKKORs either. A portrait lens helps you to trap memorable moments in time—forever. You get to bring out alluring personalities and seize the mood of your subject in a way that draws in the observer. Portrait lenses need to offer pleasing color rendition, image sharpness, contrast, and exposure control. You want the product to feel natural in the hands, easy to use, and adaptable to changing situations. This no-nonsense guide presents you with four excellent prime lenses and two zooms. They help make to portraiture one of the most rewarding endeavors in artistic people photography. I’ve included something for everyone here. These top picks include the world’s favorite budget-friendly glass. There are also high-end pro lenses and options between the two extremes. So, what if you have an entry-level DSLR like Nikon’s D3300, D3400 or D5300? Don’t worry. Any of these quality lenses can produce stunning photos on less expensive cameras. The reverse isn’t true. 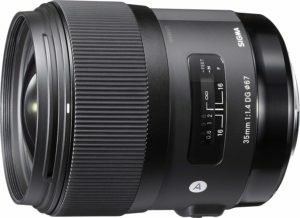 Click to See Price: Sigma 35mm F1.4 ART DG HSM Prime Lens It’s lenses like this that have helped move Sigma into the higher league. It’s an attractive chunk of glass with a nice build and ergonomic feel to it. It’s not flawless, but it’s near perfect for the price. Sigma’s 35mm F1.4 ART DG HSM has a quality brass lens mount and an all-black finish. I did experience a little barrel distortion and chromatic aberration at the nitpicking level. Unlike the brand giants, Sigma pays close attention to the little touches. This product is no different and comes with a decent lens hood and a protective padded case as standard. On the price front, their 35mm F1.4 DG HSM is a bargain. It’s a considerable saving when compared to the Nikon alternative lens. OK, so there’s no weather sealing. We all appreciate outdoor protection, but it’s not usually a buying decision. It checks plenty of other boxes, though, and delivers on its claims. Reviewers love this lens for close-up portraiture. They like the way it blurs backgrounds with its pleasing bokeh effect. It’s a popular choice for kid shots, families, and small events photography. Most of the feedback agrees that the 35mm F1.4 ART DG HSM makes an excellent walkaround lens. It’s not the lightest 35mm camera around, but its heft doesn’t get much criticism at all. What I picked up from users is that it’s a lens for keeps. It’s a workhorse and the preferred choice for a variety of photographic situations. Its use for portraiture and street photography gets a lot of mention. There are plenty of positive comments about image quality overall. Reviewers use adjectives like outstanding, exceptional, and superb to describe sharpness, color, contrast, and bokeh. The few who criticize this lens tend to be those who unfairly compare it to the much costlier models. The fast aperture is a significant attraction to Sigma’s 35mm F1.4 ART DG HSM prime lens. The extra light unlocks a plethora of photographic opportunities that wouldn’t otherwise be there. Another major attraction is the price tag. Compared to the brand alternatives this capable and fast 35mm saves you around 800 dollars. But is it as good? Well, for the money it’s better. OK, so proprietary lenses will have the edge if you compare them like-for-like. Even so, this lens is tack sharp, and its color rendition and contrast are striking. Central sharpness is remarkable even at the widest aperture setting. The lens’ performance at the frame corners is also impressive. I’d say its accomplishment is on a par with Zeiss and NIKKOR lenses. The build quality is noticeable the moment you hold the Sigma 35mm f/1.4 DG HSM. The all-metal barrel is welcome and much improved on their 50mm plastic barrel. It does add to the weight, though. The solid build and feel of this lens make it more comfortable to hold and handle than Nikon’s f/1.4G 35mm. These things can be subjective, but the consensus tends to support my thoughts. Another welcome feature is the whisper-quiet autofocus thanks to the hypersonic motor or HSM. The speed and accuracy of the autofocus are also exceptional across the range of Nikon DSLR bodies. Moving between auto and manual focus is a breeze with this lens. The simple A/M switch on the side is akin those found on the range of NIKKOR lenses. Lightweight lenses don’t need image stabilization (IS), but it’s always welcome with the heavier glass. Alas, the Sigma 35mm F1.4 ART DG HSM prime does have IS, and that’s a great shame. The bokeh produced by this lens is soft and attractive, but some critics say there’s too much onion-shape to it. They’re probably right if compared to NIKKOR alternatives. I still think it’s beautiful. We can expect some vignette with any prime lens wide open. In the case of Sigma’s 35mm f/1.4, it’s quite evident. However, it falls sharply the moment you stop down to f/2 and beyond. My final gripe is the lack of weather sealing. It’s a solid lens that should be able to take lots of abuse—if you don’t get it wet. Most brands don’t weather-proof their lenses, but they should. Click to See Price: Nikon AF-S FX NIKKOR 50mm f/1.8G Prime There are plenty of 50mm lens choices in the prime category. I chose this one because it’s affordable and lightweight. It also delivers AF to entry-level cameras like the Nikon D3100 or D5100. It’s not the fastest 50mm, but it’s fast enough for many photographers. It’s also a solid performer, and so light you hardly notice it’s on the camera. That leaves you to concentrate fully on the picture taking. You won’t find many complaints on image quality. The results are consistently sharp with pleasing contrast. At f4 there’s only a little chromatic aberration (CA) and no noticeable shading in the corners. If I had to find fault, it would be at the widest F1.8 aperture. It’s where both CA and vignetting are most evident. I still think it’s an excellent choice for its price-to-performance ratio. I’m not alone either. 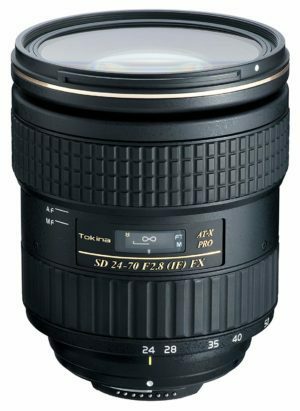 Nikon’s AF-S FX NIKKOR 50mm f/1.8G prime is popular for good reasons. It gets plenty of glowing feedback too, so let’s look at what reviewers have to say about it. There’s lots of user feedback for the Nikon AF-S FX NIKKOR 50mm f/1.8G, not least because it sells well. Users like it for portraits because of the lenses’ ultra-lightweight and compact design. You can find plenty of uploaded images with the online reviews too, which speaks volumes. The feedback praises the lens for its ease of use, overall image quality, and the low price. People talk of the pleasing bokeh effect that isolates subjects to perfection. The lens gets a big thumbs-up for its low-light capability as well. It’s most cherished as a workhorse for street, people, and pet photography. As I read the reviews, I’d say around 95% of the feedback I came across was positive. That still leaves room for a few gripes. One common complaint is that the lens only stops down to f/16. Another is that the close distance scale could be better. Other than these two, there’s not much that people want to moan about. It’s a perfect portrait lens when used on Nikon DX-format cameras. It’s a lightweight product that has a compact ergonomic design. You can keep it on the camera all day and not even know it’s there. A smaller size, lighter weight, and fast aperture of the AF-S NIKKOR 50mm f/1.8G make it the ideal travel camera companion. The autofocus is fast, reasonably quiet, and works well in all lighting conditions. This lens is tack sharp, but to be fair so are most other 50mm lenses in this class. The aspherical (asphere) lens helps to deliver sharper pictures at the wide f/1.8 setting. The creamy bokeh produces soft out-of-focus backgrounds. The pleasing blurred effect draws the eye straight to the in-focus subject. There’s no onion-shaped bokeh as exhibited by the Sigma lens above. The low-light capability of this lens is awesome. It enables handheld shooting at lower ISOs and with faster shutter speeds in challenging light. It’s a characteristic all photographers can benefit from. Most people agree that when something sounds too good to be true, it usually is. 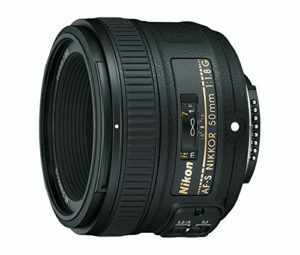 Well, I must make an exception for Nikon’s AF-S FX NIKKOR 50mm f/1.8G prime lens. Perhaps the most exciting thing about this piece of glass is its value. It delivers pro-like performance at an entry-level price. It checks all the right boxes, and that’s why it gets such glowing reviews. So far there’s been nothing but praise for this little lens. But there’s no such thing as the perfect product, not even from Nikon—yet. The most noticeable flaw relates to aberration. The barrel distortion occurs when straight lines curve and thus form a barrel-like shape. It’s slight and barely evident, but it is there. I doubt most folks even notice its presence, though. A more reasonable gripe is the limited f/16 aperture. Users would like to have seen it stop down to f/22 to allow for more exposure control. Despite this, the minimum aperture hasn’t affected sales. One last gripe concerns the 58mm plastic filter thread. The problem with plastic threads is that they are easy to damage compared to the metal ones. Try to be delicate with frequent filter changes. Click to See Price: Nikon AF-S NIKKOR 85mm f/1.8G Prime Nikon’s AF S NIKKOR 85mm f/1.8G is another high-quality prime lens. The 85mm focal length is a favorite for many portrait photographers. This one’s lightweight and fits nicely in the hands. The central sharpness of this lens becomes most impressive at f/2.8 through to f/11. Portrait photographers love blurred effects, and the bokeh of this puppy doesn’t disappoint. Vibration reduction (VR) isn’t one of the lens’s features, but then it’s not particularly heavy for 85mm. It also falls short on a few other areas (see ‘what could be better’ below). There are no vignetting issues worth writing about, and chromatic aberrations are minimal. I’m a big fan of the internal focusing mechanism as someone who uses special effects filters. The plastic finish helps to keep the weight down, and that’s always welcome. There’s also a rubber lens mount that provides some degree of weather protection. The Nikon AF S NIKKOR 85mm f/1.8G is a fixed AF lens for Nikon DSLRs. It’s also a favorite focal length for portraiture. Over 90% of reviewers have positive things to say about this one. Users love the gorgeous out-of-focus effects it produces for portraits and close-ups. There are plenty of people shots to back up the reviews too, and that’s always helpful to folks on the fence. Many reviewers agree that this is a perfect portrait lens for full frame Nikon cameras. They enjoy shooting wide open to isolate subjects with a narrow depth of field (DOF). The Nikon AF S NIKKOR 85mm f/1.8G is an affordable choice for many amateurs. It provides tack sharp photos even in low light situations. The uploaded image samples say it all. The complaints are more akin to wishes than gripes. They don’t seem to affect buying decisions anyway. The most common is the plastic construction, slowish AF, and limited close focus. This lens produces sharp images even at its widest f/1.8 aperture, especially its central performance. To experience optimal sharpness, though, you need to stop down to around f/5.6. The Nikon AF S NIKKOR 85mm f/1.8G has Silent Wave Motor (SWM) technology. SWM and the Internal Focus (IF) results in a quiet, smooth, and fast autofocus. The IF means the external aspects of the lens remain the same. Internal focusing is handy as it preserves closer working distances. It also means preset special effects filters are unaffected. The bokeh is beautiful. That’s what we all want for our portraits and close-ups, right? And the 7-blade rounded diaphragm helps to enhance those gorgeous out-of-focus backgrounds still further. Rotating the focus ring switches between auto and manual focus without effort. Photographers appreciate the M/A mode switch when they need to override the AF to fine tune the focus. Low light photography can be a challenge, but fast NIKKOR lenses make the task a lot easier. Sometimes we have no choice but to take photos in low light, at other times we choose to. The NIKKOR 85mm f/1.8G medium telephoto portrait lens doesn’t disappoint. The fast f/1.8 aperture lets you work in failing light without the need for flash. Nothing compares to those natural skin tones. So, this lens lets you stay in control even when light levels fall. Low-light photography enables you to freeze magical moments in time. The results can show incredible mood and captivating atmospheres. 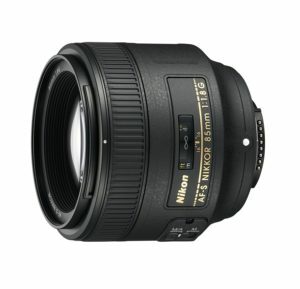 Point to note: Nikon optimized the AF S NIKKOR 85mm f/1.8G for FX-format DSLR cameras. It can still serve any DX-format DSLR well with an effective FOV of 127mm. The external build is especially disappointing considering the exceptional optics. I’m sure this is the first ever Nikon 85mm to use a plastic focus ring. The ergonomics are excellent, but the plastic’s not. Plastic helps to keep lenses lighter, and that’s good. Or it would be if the plastic was of higher quality. Not everyone agrees, though. Some users say the build it much more robust than it looks and feels. Metal costs more as well, and it adds to a lens’s heft, and that’s not so good. Another grumble is the lack of stabilization, but then that’s understandable given the price. It’s not a heavy lens either, so that makes stabilization less of an issue unless you shoot video. The minimum focus range is a legitimate gripe at 2.62 ft. (0.8m). That’s nothing to boast about with a lens of this focal range. It’s fine for portraiture, but not so useful if you want frame-filling close-ups. Do you need a lens that can get up close and personal to things other than people? If the answer is yes, well, the AF S NIKKOR 85mm f/1.8G might not be your best choice in this case. Click to See Price: Tamron AFF017N700 SP 90mm F/2.8 Di VC USD One of the reasons I chose the SP 90mm F/2.8 Di MACRO 1:1 VC was the price. It’s also a significant upgrade, plus it costs less than the earlier 90mm macro. Its predecessor was popular, but this beauty is everything the old version was—plus some. The improved build quality is noticeable to the eye and to the touch. 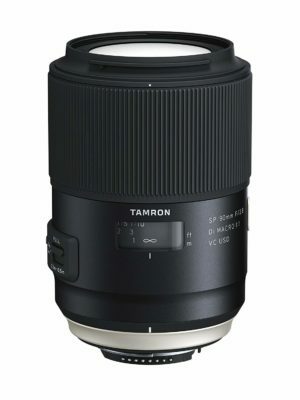 Tamron has improved the weather resistance as well. The mechanical performance is also noticeable. I found the autofocus fast and accurate and the image stabilization invaluable. I expected some corner shading at f/2.8 and got it. Even so, it’s easy enough to fix using any of the free post-processing programs. The macro capability of this lens gives it more versatility. If you need macro it becomes twice as useful. Overall, it’s a high-quality chunk of glass at an affordable price. The Tamron SP 90mm F2.8 Di VC USD 1:1 Macro doesn’t sell as fast as propriety lenses. Don’t let that deter you too much. The feedback from those who buy this lens is around 90% positive. Reviewers compliment this lens as both a capable macro and as a portrait lens. Unfortunately, users tend to back their appraisals up with macro photos more so than people shots. Photographers are happy with the lens’s build and ergonomics. They note how it feels solid and durable without being overly onerous. The tactile buttons and switches also get it a few more plus points. Folks love the image sharpness and the beautiful, rounded bokeh effects. The vibration compensation (VC) is also welcome. Some say it’s the best VC ever. I wouldn’t go that far, but it is good. Most agree that it’s a great value lens even though the AF hunts a little at times. The Tamron SP 90mm F2.8 Di VC USD 1:1 Macro for Nikon has a tank-like build but without the heft. It’s no featherweight, but it’s not going to drag you down on a long day’s shoot either. The focal length is ideal for modern portraiture. The 9-blade circular diaphragm produces the most pleasing bokeh effects. The macro capability is also impressive, and it can help with creative portfolios. For example, wedding photographers often take close-ups of rings, table settings, and hands, etc. The lens has some degree of protection. The build is both moisture-proof and dust-resistant. Okay, so that doesn’t make it fully weatherproof, but it’s better protected than many others in its class. The front element repels water and sticky fingerprints thanks to its Durable Fluorine Coating. The XY-Shift compensation is a new feature. It supports the Vibration Compensation (VC) to improve image stabilization still further. It does a fantastic job too. The lens’ AF drive responds fast and with minimum sound. However, it is prone to a little hunting at times (see below). The manual focus override is always at your fingertips for when you need it. Tamron keeps ghosting and flare issues to a minimum with their Advanced Coating Technology. The optical construction includes a Low Dispersion (LD) glass element and two Extra-Low Dispersion (XLD). In lay terms, it means less chromatic aberrations (CE) and better image quality. This extra attention to detail raised the bar for Tamron, and thus set a new benchmark for the company. There is a little AF hunting with the Tamron SP 90mm F/2.8 Di VC USD. It’s especially noticeable in low light. The AF hunting is not extreme, but you should prepare for it nonetheless. The main letdown for this lens is the noisy autofocus. It’s more of an issue because it’s a macro. Manual focus is the only way for close-ups of bugs or anything else that the AF might frighten away. There are much heavier lenses out there than the Tamron SP 90mm F/2.8 Di VC USD. Despite this, some folks still complain of its heft and say it’s unbalanced and too front-heavy. I don’t think it’s too heavy or unbalanced, so perhaps these complaints come from new users. I can appreciate how anyone unfamiliar with a prime portrait in this class would notice its 22 ounces at first. Click to See Price: Tokina AT-X 24–70mm f/2.8 PRO FX My next pick is Tokina’s AT-X 24–70mm f/2.8 PRO FX—ideal for Nikon FX-format Digital-SLRs. Yes, it’s a heavy lens, but then it’s a solid all-metal construction. It also has a surprisingly short design. The first thing that struck me was how comfortable it sat in the hand. The broad focus and zoom rings have different textures that are smooth to handle and have a nice feel about them. It’s an excellent choice for anyone who wants a versatile wide-angle to portrait zoom lens. The constant, bright f/2.8 aperture makes it ideal for portraiture, but that’s not all. I’d say it’s a serious contender for most photographic genres despite its heft. Portrait photography is a given, but the AT-X 24–70mm is a superb lens for events and landscapes as well. There’s no weather sealing with this glass. Alas, that missing feature is typical of many brands. There’s no image stabilization either, unlike its Tamron and Nikon rivals. Compared to proprietary alternatives, the Tokina AT-X 24–70mm f/2.8 PRO FX is more affordable. You can expect savings of about $1200 give or take. There’s a lot to like with this nifty lens aside from its price tag, but it has a few downsides too. Over 80% of reviewers agree that the Tokina AT-X 24–70mm f/2.8 PRO FX is a remarkable lens for the price. The feedback varies, however, depending on what camera accommodates it. Users comment on the sharp results and exceptional color rendition. It doesn’t sell as well as Tamron’s 24-70mm, f/2.8, but owners of this glass think its comparable in all but heft. Yes, this puppy is heavy. The consensus among reviewers is that the AT-X 24–70mm f/2.8 performs better than they expected. Although there’s some mention of the weight, most don’t mind because of the value for money. The saving on a native Nikon AF-S FX NIKKOR 24-70mm f/2.8G ED is close to 700 dollars. That’s a considerable difference when you consider how photographers are happy with Tokina’s performance. The reviews on a new lens are all good aside from a few gripes about the slow autofocus. Insanely sharp is the best way to describe the Tokina AT-X 24–70mm f/2.8 PRO FX. It has pleasing contrast even at its widest f/2.8 aperture. The image quality is a vast improvement on earlier versions. It’s fair to say that the image quality is comparable to Nikon and Canon portrait lens equivalents. The internal focus (IF) mechanism means there’s no external movement during focusing. The IF is a real advantage if you use special effects filters as they don’t rotate out of position once set. The bokeh produced by Tokina AT-X 24–70mm f/2.8 PRO FX is smooth and pleasing at the narrow end. It’s also void of the dreaded onion-ring effect found on some rival lenses. Some people like the onion-ring effect. Most find it ugly and distracting if too pronounced, though. Tokina prevents onion-ring bokeh by casting the lens elements, which is no small feat. The lens’ build quality is even better than Nikon thanks to the internal metal parts. Alas, metal also adds to the heft. The extra weight is the only real downside to having a metal construction. Tokina has used machined alloy to ensure a solid finish to the lens’ zoom barrels. This chunk of quality glass feels as good as it looks and is thus pleasant to handle. The 3-year US warranty shows how confident Tokina are with their AT-X 24–70mm f/2.8 PRO FX. This lens is heavy and quite big. Its heft is something new users tend to gripe about, but it’s usually short-lived. Photographers soon forgive the 35 ounces once they appreciate the quality build. Tokina’s AT-X 24–70mm f/2.8 is never going to win any awards for its autofocus speed. It’s not sluggish, but it’s a tad on the slow side, especially with those used to faster AF on native lenses. There isn’t any form of vibration reduction—IS/OS/OSS or VR—with this lens. VR would have been a very welcome feature not least because of its weight. It makes a tripod necessary for low light shots. Click to See Price: Nikon 70-200mm f/2.8G AF-S ED VR II Zoom My final pick is a bestselling high-end lens of mind-blowing excellence. If you think it’s expensive, then you’re not ready for it—yet. Those who do own one find it incredible value for money. Nikon’s 70-200mm f/2.8G AF-S ED VR II is a telephoto zoom aimed at the professional level. It’s the glass for serious shutterbugs to grab for Nikon full-frame DSLRs. Think of it as “exceptional” everything. That includes image quality, a versatile vibration reduction (VR) system, and an excellent build. And the fast, accurate focusing easily beats the competition. It’s fair to say this is the company’s best f/2.8 70-200mm ever produced. It gets top scores in all the crucial areas. These include image quality, design, features, ease-of-use, and yes, value for money. Aside from the weight—which reflects its quality build—there’s little to fault. Not everyone’s a fan, though, but many professionals wouldn’t swap it for anything else. 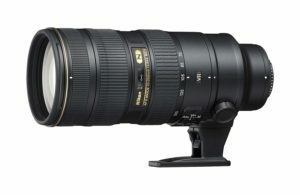 The Nikon 70-200mm f/2.8G ED VR II AF-S NIKKOR Zoom sells well and enjoys high ratings. Around 93% of all user feedback is positive. They praise this lens for its portraiture appeal among other things. It has an incredible impact on those experiencing a pro-level lens for the first time. The ultra-fast AF, image sharpness, and accurate color rendition tends to blow new users away. The only real regret I came across was with folks who said they wished they bought it sooner. Even with the high price tag it still gets a big thumbs-up for value. Some reviewers comment on the weight of this beast, but it’s more as an observation than a gripe. Professionals know that heft is an unavoidable consequence of an ultra-high-quality build. Bokeh lovers say the lens’ produces the most gorgeous aesthetic blur imaginable. They can shoot with confidence and ensure precise color rendition and perfect contrast—every single time. For professionals, the AF-S NIKKOR 70-200mm f/2.8G ED VR II is a reliable workhorse. For all others, it’s the dream lens that makes it onto many photographic wish lists. The fast, fixed aperture means constant exposures across the lens’ zoom range. Then there’s the effective vibration reduction (VR). VR enables you to shoot with sharpness comparable to tripod shots. Hand-held photography at 1/8 second is doable despite the weight of this quality glass. That’s at all the focal lengths. Vibration reduction doesn’t get much better than this. This is an IF (internal focusing) NIKKOR that always retains its size. That means there’s no external movement while focusing. IF makes the lens lighter and more compact than it would otherwise be. IF also allows for closer focusing distances. Another advantage of shifting internal lens groups is that there’s no front rotation. That benefits screwed-in special effects filters and petal shaped lens hoods. Nikon’s AF-S NIKKOR 70-200mm f/2.8G ED VR II sports a Silent Wave Motor (SWM). SWM provides ultra-fast, whisper-quiet focusing. There’s smooth manual focus override via the M/A focus switch. The lens’ internal construction is impressive. There is a total of 21 lens elements arranged into 16 groups. Seven of these elements are Extra Low Dispersion (ED) Glass. Nikon uses ED glass as an effective way to overcome issues related to chromatic aberration (CA). As well as optical quality, the lens’ professional build also deserves some mention. Its construction has various metal components and quality protection. These include the 77mm filter thread and the epoxy-coated outer body. There’s also rubber-covered metal focus and zoom rings. There is plastic and rubber in the construction too, and it’s all high-quality. The non-metal parts don’t detract from the superior look and feel of this solid performer. The lens weighs just over 54 ounces (3.4 lbs. ), and that’s significant. It would be a serious concern if it didn’t have any VR, but it does. The heft is also the result of the high-quality construction. Everything about the Nikon 70-200mm f/2.8G AF-S ED VR II Zoom oozes quality aside from its hood. It’s a tacky, short piece of plastic with a somewhat feminine 4-pod appearance. There’s still a little room for imperfection despite the quality of this lens. There’s some evident light vignette, but that’s easy to rectify using post-processing software. The price is high but you get what you pay for, and it’s also relative. 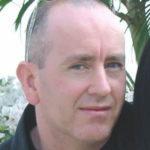 Professional and semi-pro photographers have no complaints with the cost. It’s a dear chunk of glass for amateurs, though.